Born into hardship, Dar learns to rely on herself alone. When her family betrays her, Dar is conscripted into King Kregant’s army and its brutal campaign to conquer a neighboring country. Now she is bound as a slave to a dreaded regiment of orcs, creatures legendary for their savagery and battle prowess. Rather than cower, Dar rises to the challenge. 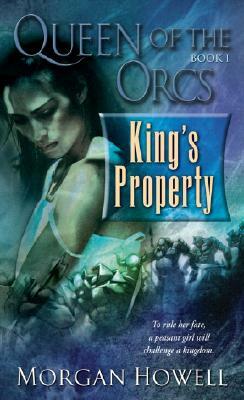 She learns the unique culture and language of the orcs, survives treachery from both allies and enemies, and struggles to understand a mystical gift that brings her dark, prophetic visions. As the war escalates—amid nightmarish combat and shattering loss—Dar must seize a single chance at freedom.